Winnebago Travato Class B Motorhome Review: Our Best-Selling Van! 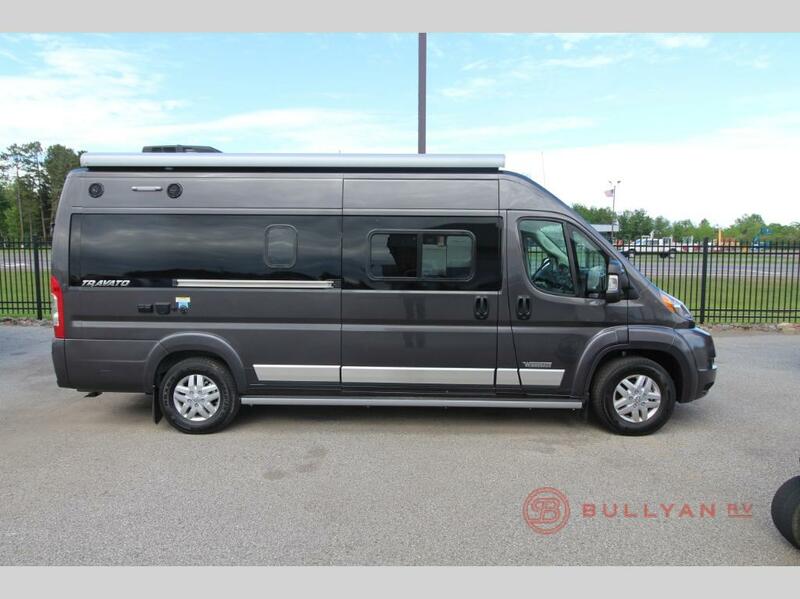 Our Winnebago Travato Class B Motorhomes for sale are our best-selling Class B vans. Why? With remarkable space, power, and fuel efficiency, the Travato is ready to go anywhere you want to go! Grab your backpack and hit the road! At 21 feet, the Travato easily maneuvers wherever you need. All of the necessities for a weekend adventure are carefully planned into the floorplan of this road-worthy wonder, and all you have to do is turn around. 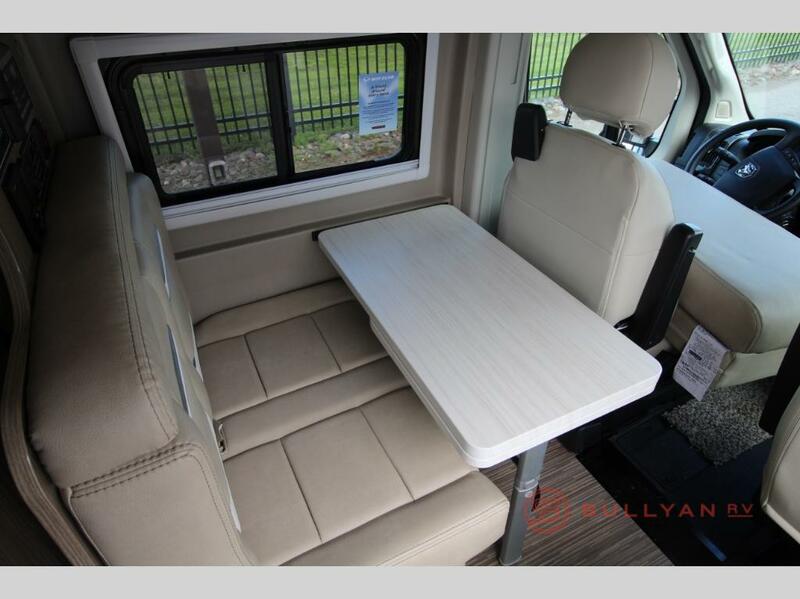 Swivel your driver and passenger seats around and you immediately face a table and bench seating or pull-out table extensions, along with a 24” HD TV. A galley kitchen is home to a pantry, refrigerator, sink, microwave, and 2-burner range. 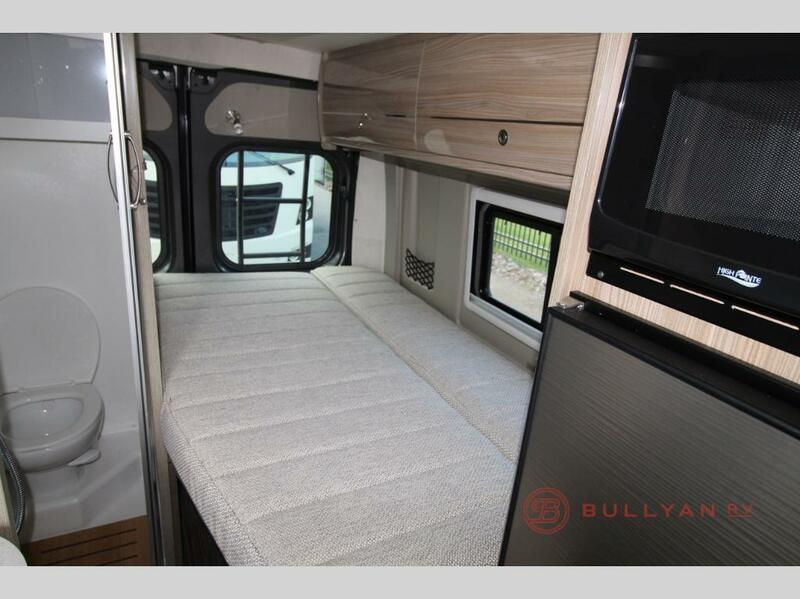 Depending on your needs, you can choose a model to sleep either two or three, with a choice of either two twin beds or a full size bed plus stowaway flex bed system. There’s also a rear wet bath with plenty of space to freshen up before embarking on the next morning’s adventure. 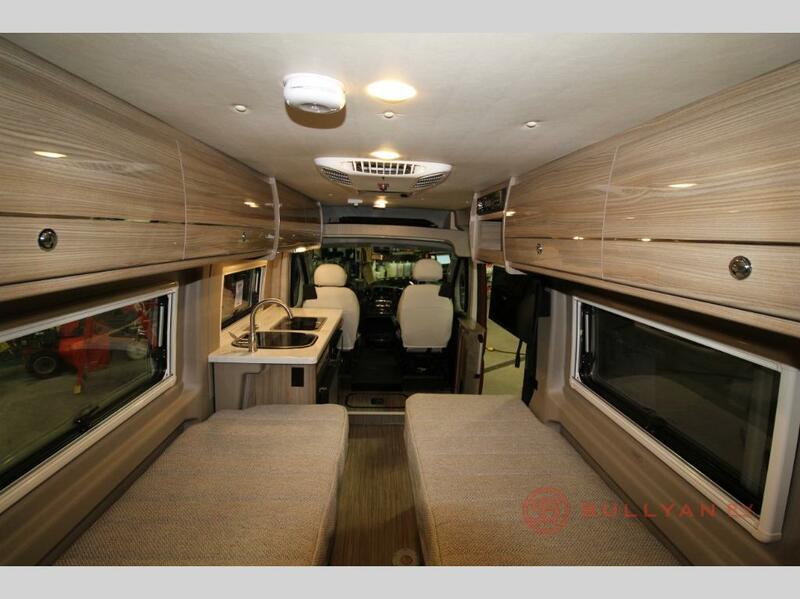 The Winnebago Travato boasts a 280-hp, 3.6L V6 gas engine, 200-watt solar panels, 38V automotive-grade lithium energy system, and Truma Combi Eco-Plus heating system. You can keep up your off-the-grid adventure with the 2,800-watt Cummins Onan gas generator or Pure3 Energy Management System. Once you’re parked for the day (or night! ), enjoy some shade with the 13’ power awning with LED lighting. Or use it in the evening to make the most of your time outdoors. 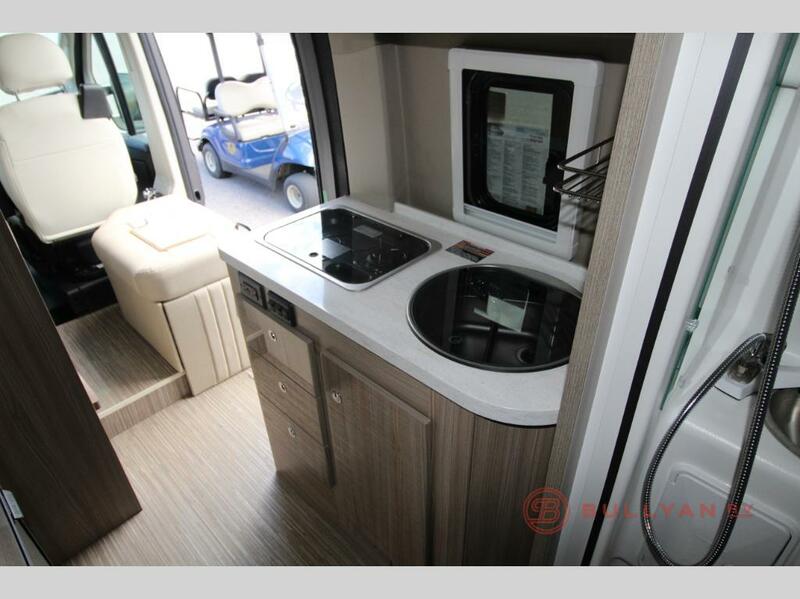 We have several different Winnebago Travato floorplans and models, so contact us today to check out our inventory or find out more features that we haven’t covered in our Winnebago Travato Class B Motorhome review. We know that as soon as you step inside the Travato, you’ll be dreaming of the perfect weekend adventure, and we’re ready to help you hit the road!